One of the rarer trees we grow on the nursery, but in my view under used as it has much to offer any gardener looking for something a little out of the norm. 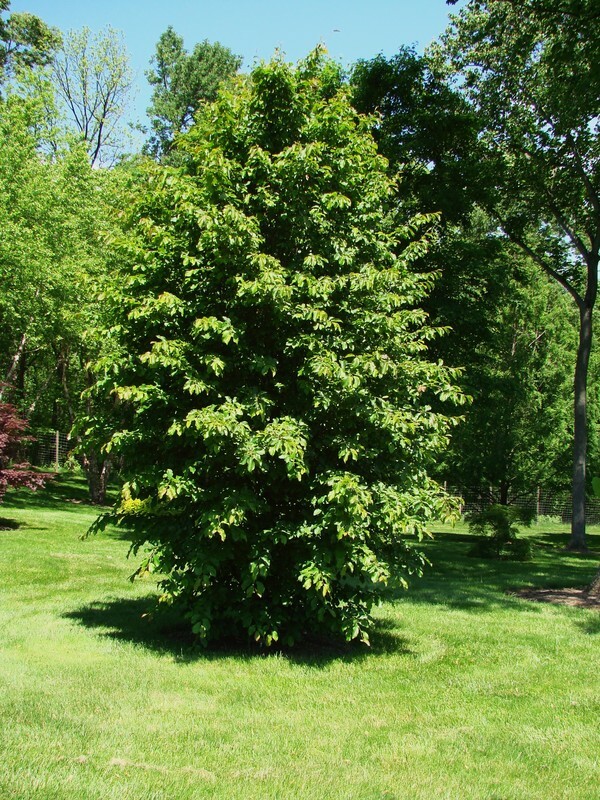 The Persian Ironwood originates from the middle east, with the cultivar 'Vanessa' developed by Dutch growers in the 1970's as a more upright traditional shape. Year round interest starts with small maroon / red flower clusters on bare wood during the winter. The rich green leaves emerge from red shoots and as autumn approaches they begin to unveil glorious shades of crimson, red, purple and gold. The leaves remain on the tree well into the onset of winter before falling and revealing the mottle grey, brown and yellow bark. Parrotia is frost hardy in the UK and grows well on any reasonable soil. Its renowned autumn colour is not dependent on soil type or pH, in fact Parrotia is one of the few small to medium sized trees with impressive autumn shades that will tolerate chalky soils. It makes an excellent garden specimen and one I highly recommend.